ALBANY – Charles E. Marks, 68, of Albany, died peacefully with his family by his side on Friday, February 17, 2012 in the Hospice Inn at St. Peter’s Hospital. Mr. Marks was born at home in Elizaville, NY, and raised in Albany. He was a graduate of St. Joseph’s Academy and Vincentian Institute, and served his country in the U.S. Navy from 1962 to 1966. He was employed by the Tobin Packing Co. and the Gold Bond Division of National Gypsum Co. at the Port of Rensselaer, retiring in 2009. Charlie was a member of the Joseph E. Zaloga Post #1520 of the American Legion, and an avid fan of the New York Giants and Mets. He loved garage sales, auctions and an occasional trip to the racino with his sister. Gathering for Sunday dinners with our extended family was a highlight of Charlie’s week. He loved us all very much and our weekly dinners were our special times to interact across generations. Charlie is survived by his beloved wife Linda Lusso Marks; his daughters Michelle Marks (Dan Wolfe) of Averill Park and Casey Marks of Albany; his sister Mary Ellen Miles (David) of Menands; his brother Ken Marks (Debbi) of Rensselaer; his nieces and nephews Peter, Kevin and Shane Marks, Melissa Rezey (Mike), Kelly Yates (Seth), and Rebecca Keith (Dan), and Leanne Little (John), Kenny and Ashley Marks; his great nieces and nephews Emma, Carly, John, Olivia, Makenna, and Danny; and his special friends Mary Quinn, Brendan, Patrick and Dylan. He was predeceased by his parents Charles and Ruth Cunningham Marks, and his brother Kevin Marks. Funeral services will be held in the Hans Funeral Home, 1088 Western Ave., Albany, Tuesday morning at 10:00. Relatives and friends are invited, and may call at the funeral home Monday from 4-8 p.m. Interment will be in the Maple Avenue Cemetery, Fultonville, NY. 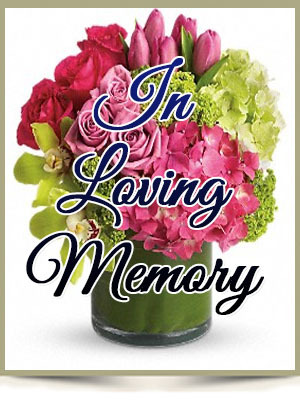 In lieu of flowers, memorial contributions may be sent to St. Peter’s Hospice, 315 S. Manning Blvd., Albany, NY 12208; or to Emmaus United Methodist Church, 715 Morris St., Albany, NY 12208. To leave a message of condolence for the family, send a sympathy card, or obtain directions to the funeral home, please visit www.HansFuneralHome.com. Click here to view Charlie Marks’ resting place in the Maple Avenue Cemetery, Fultonville, New York. Casey, I am so sorry for your loss. You are in my thoughts. Hey Casey, im sorry wish i could be there to give you a hug right now. my thoughts and prayers are with you and your family. I am so sorry to hear about Charlie! My thoughts are with you all! Charlie will be in my prayers. I am so sorry for your loss. Please know that you are in our thoughts & prayers. We are thinking of all of you at this very difficult time. My thoughts are with all of you .My deepest condolences .I can’t seem to rebound from the loss of relatives in the past few years,I will miss Charlie,He had a love for people that takes most people a life time to achieve,I will never forget the caring person he was.I love all of you very much.Your all in my prayers. I’m sorry for your loss Shell. Charlie was a good guy who will be missed. I remember him visiting when we were all at gram & gramps house many years ago and I always enjoyed his company and his humor. Linda, I’m very sorry for your loss. You and your family are in my thoughrs and prayers. Casey & family. May our Lord give you comfort in this time of need. May your faith give you comfort and memories of Charlie bring you joy. God bless. I am sorry for your loss..his work here is done and now to Heaven with God..I know you all miss him.but i bet he is watching over you all..may he be at peace and pain free. Our condolences on the passing of Charlie. He was a very generous person. May God watch over all of you. Please know that we have very kind and happy memories of him. Our thoughts and prayers are with you all.we are very blessed to have had him in our lives.He will always be in our hearts.Joining the crew that is already there I can imagine the celebration!!! Dear Linda, Michelle, Casey, Kenny, Debbie, Mary Ellen, David and the extended Marks family. Charlie Boy was loved by all of us at every family gathering with the Marks, Cunningham and Edick families. Please know that his personality, loving smile, and sense of humor will never leave our memories. God has called him home to share with everyone in heaven. Many memories, jokes and family gatherings flood to mind and makes me SMILE!! Let us now celebrate his life together and find comfort from each other. Dear Linda, Michelle, Casey, Kenny, Debbie, Mary Ellen, David and the extended Marks family. Our thoughts and prayers are with all of you, we are so sorry for you loss. Charlie is someone who will never be forgotten. He lives on in all of us—all of the love, kindness, and humor that he shared, the strength that he gave when needed, his calm manner, his smile—all of these things touched our hearts and our lives in ways that can never be erased. What a wonderful legacy! We were so blessed to have known him and we are saddened that he has left us so soon. Our deepest sympathies to Linda, Casey, Michelle, Mary, Dave, Kenny, Debbi, their families, and the many nieces, nephews, cousins, family, and friends of this wonderful man, Charlie Marks.